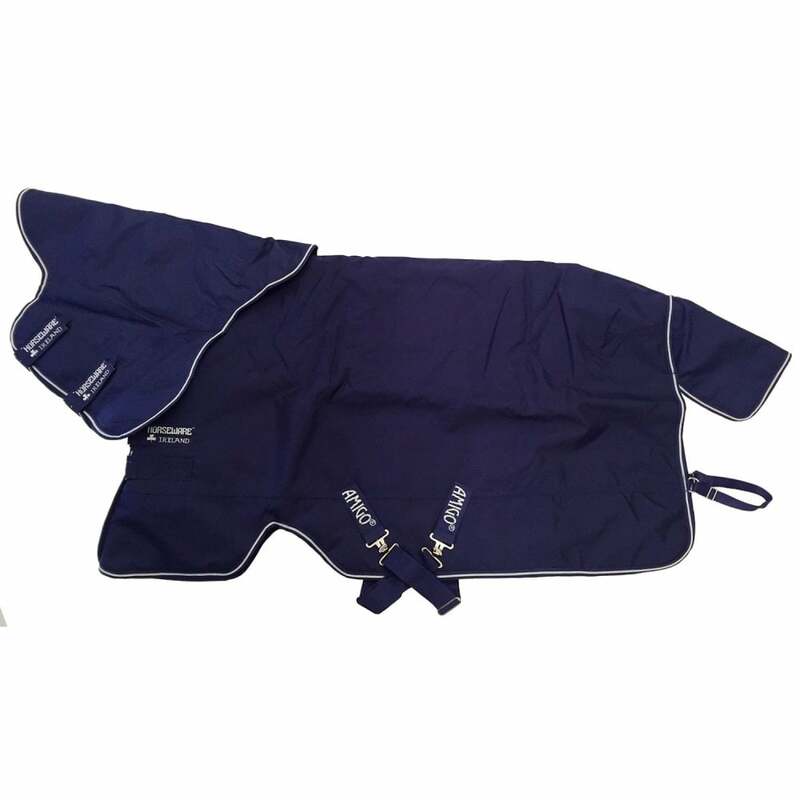 The Amigo Hero ACY Pony Plus Medium Turnout Rug has a strong and durable waterproof outer to keep your pony dry. The outer fabric is made using a revolutionary manufacturing process to reduce weight and increase strength compared to standard polyester fabric. This rug has a 200g fibrefill for warmth and leg arches to help improve belly coverage. Featuring cross surcingles, classic front fastening. shine enhancing polyester lining and a detachable hood. The Amigo Hero ACY Pony Plus Medium Turnout Rug is perfect for the cold wet days of Autumn and Winter.